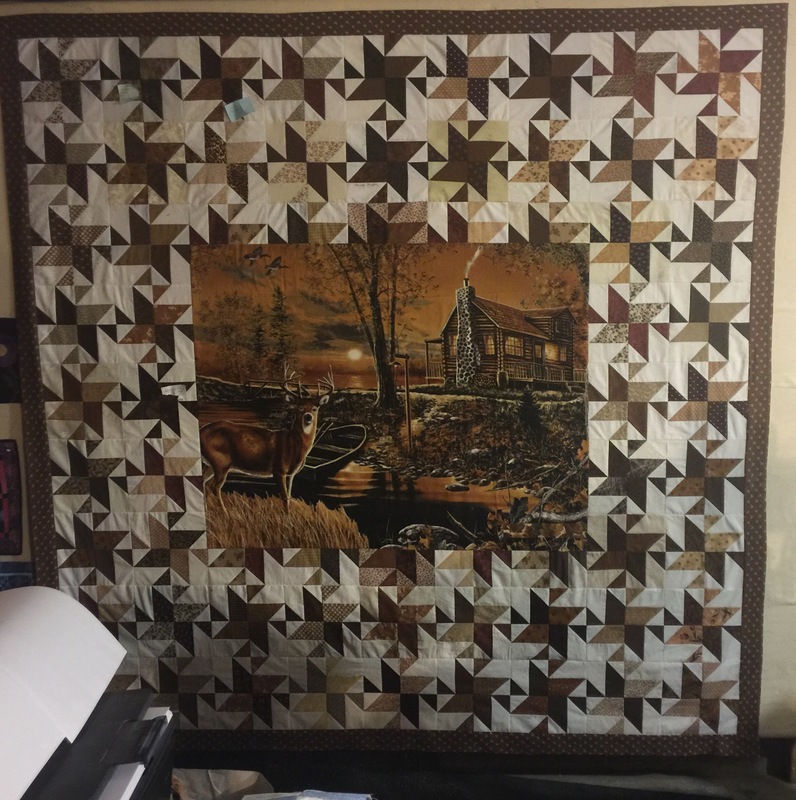 I did get the Quilters saying quilt finished over the summer. 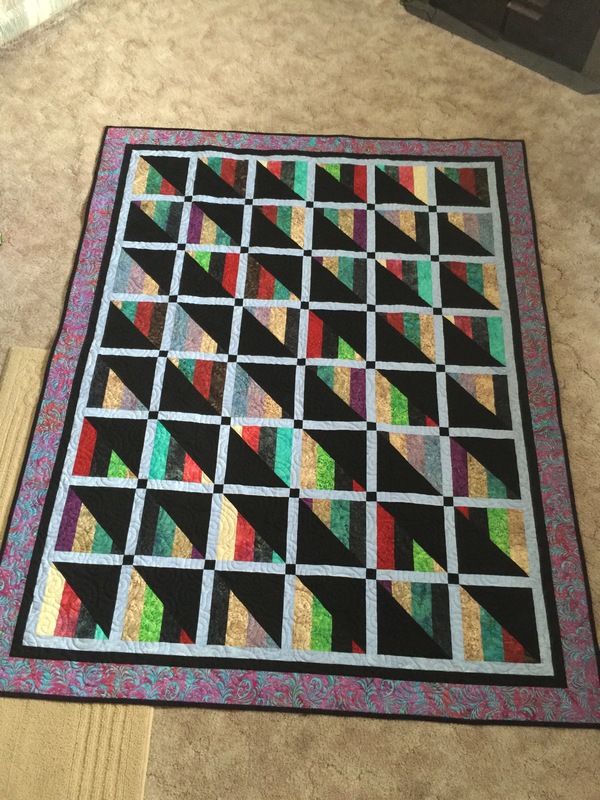 Also the triangle quilt is quilted and bound. Here’s what’s currently on my design wall this week. 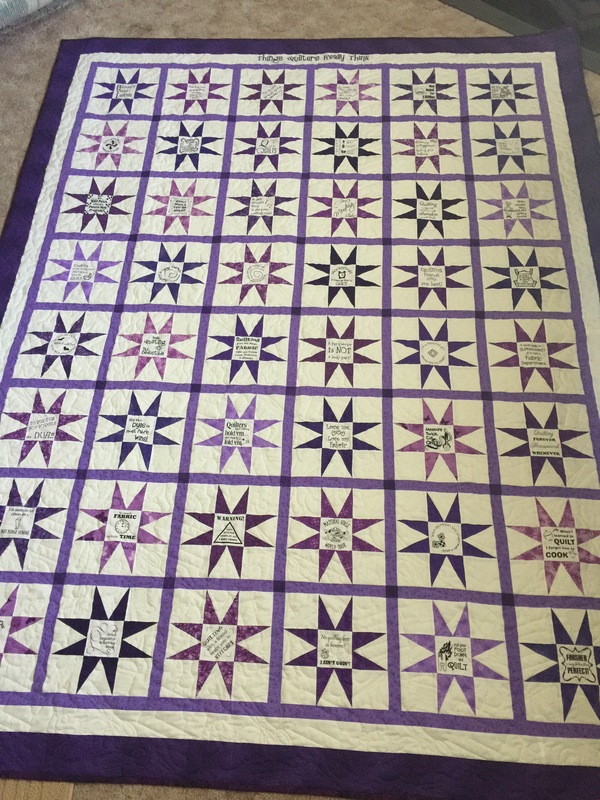 I worked on getting the rows sewn together over the weekend and I have the first border on. Yea! Love what you did around the deer panel!! 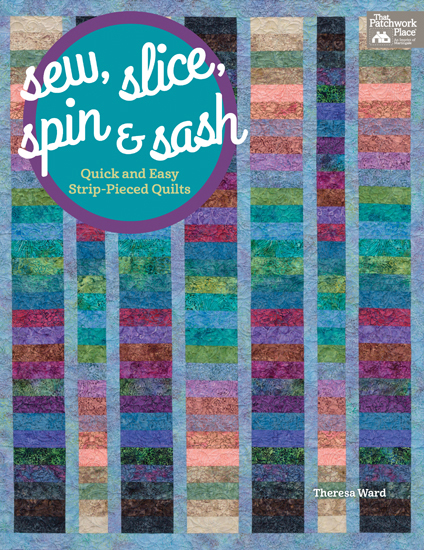 Are the quilters sayings blocks embroidered, or from a fabric? If purchased, where from? That quilt is so cute! Thanks Pat! The blocks are printed. You can get them at http://www.blockpartystudios.com under the Quick links click on Fun and they have lots of different ones.